Available at your local comic book store. 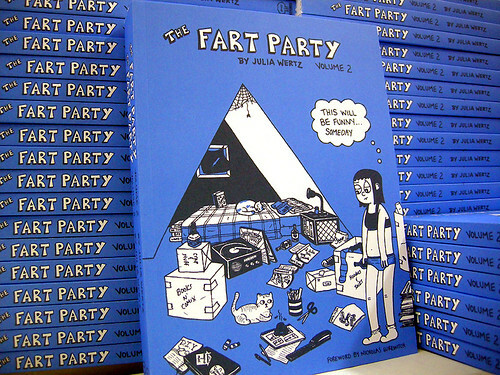 "What allows Fart Party to stand out in a field filled with autobiographical comics is Wertz herself, who, to quote the book's foreword by former City Paper comic Perry Bible Fellowship's Nicholas Gurewitch, 'pretty much encapsulates the whole of the human condition.' Her cartoon avatar, resembling the Utz girl's neurotic older sister, is easy to like and perhaps even easier to relate to."